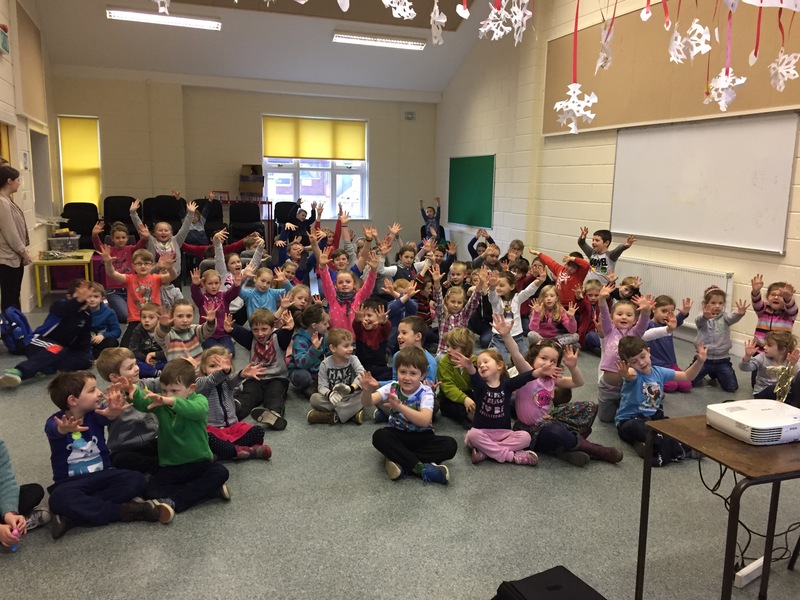 Here’s the scary children who arrived in school just before the mid term break! 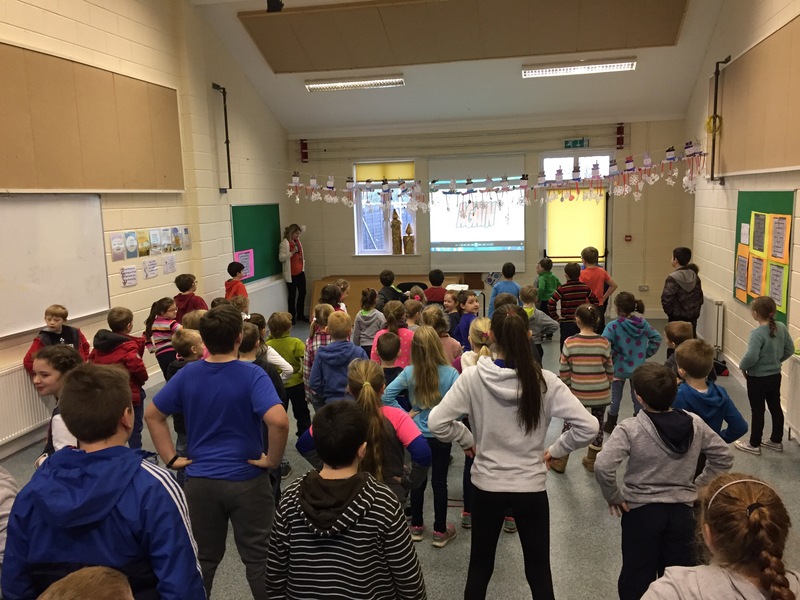 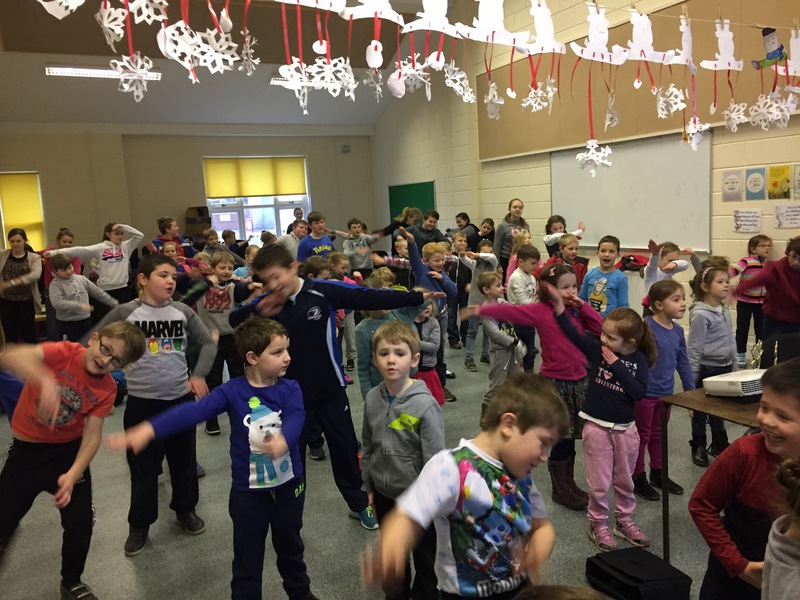 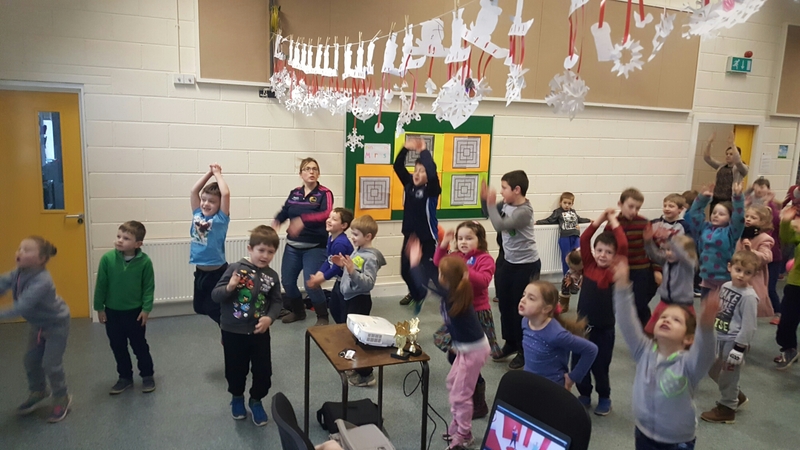 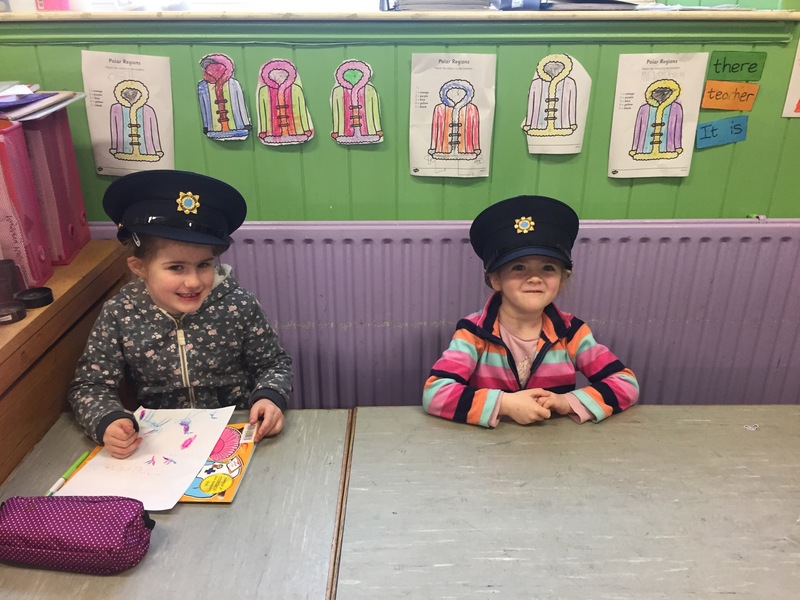 Junior and Senior Infants enjoying Aistear. 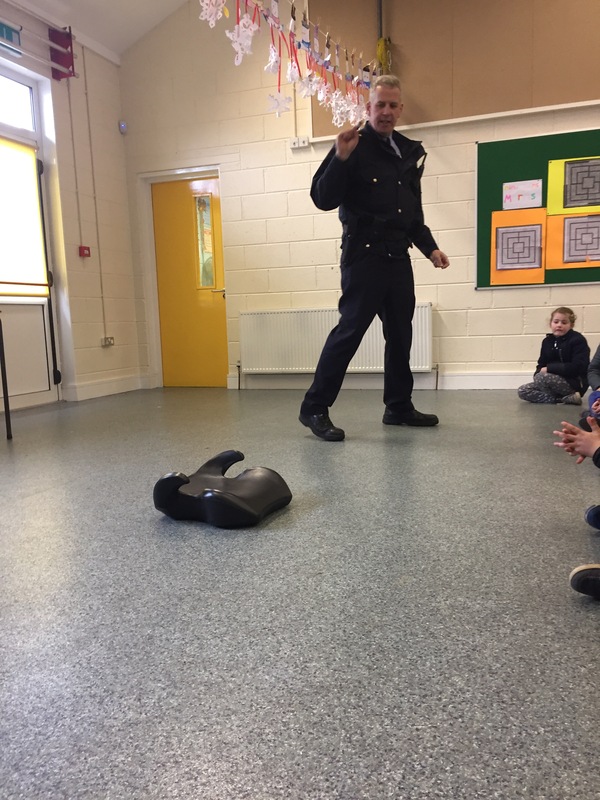 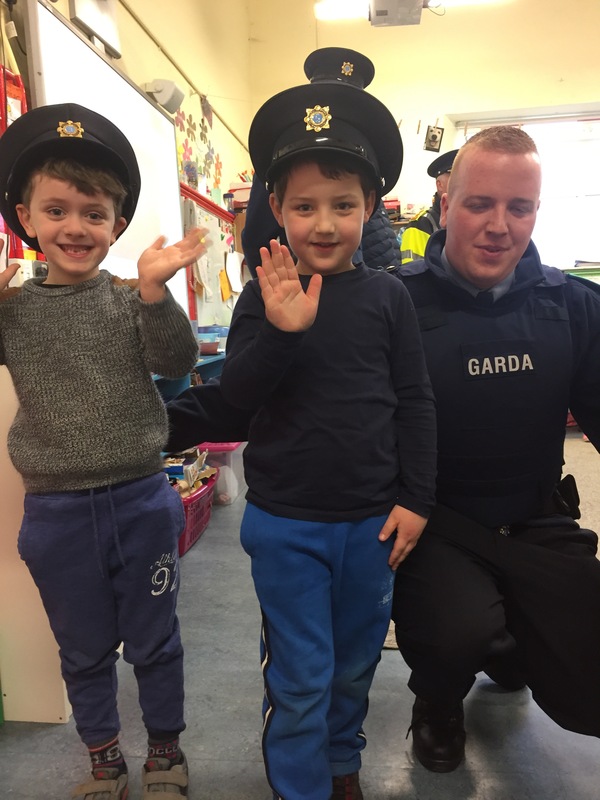 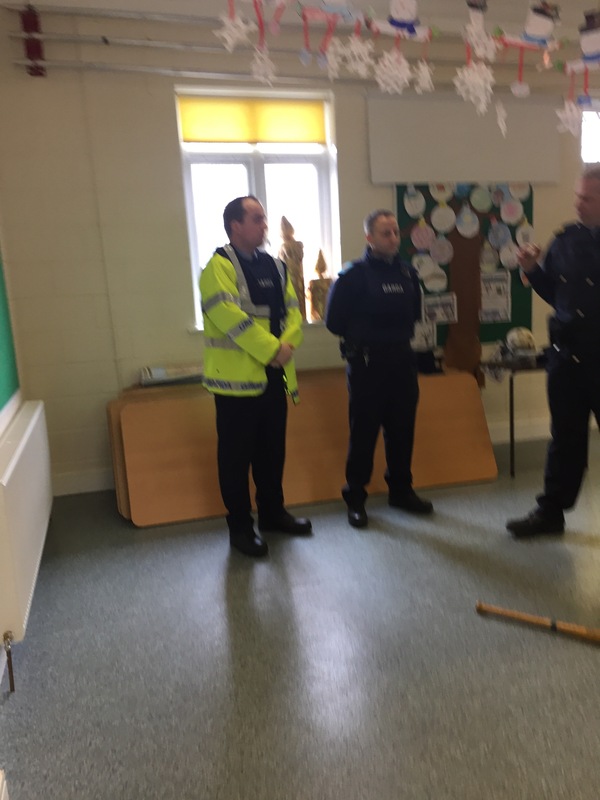 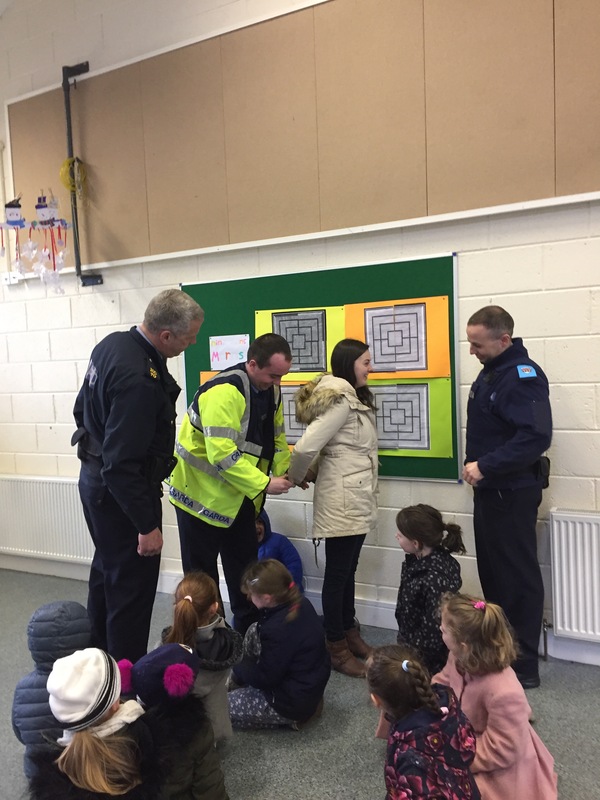 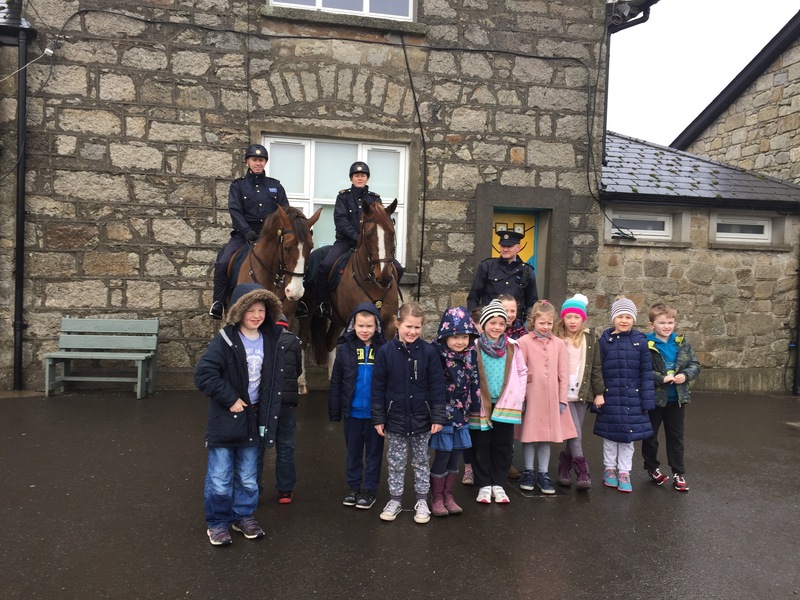 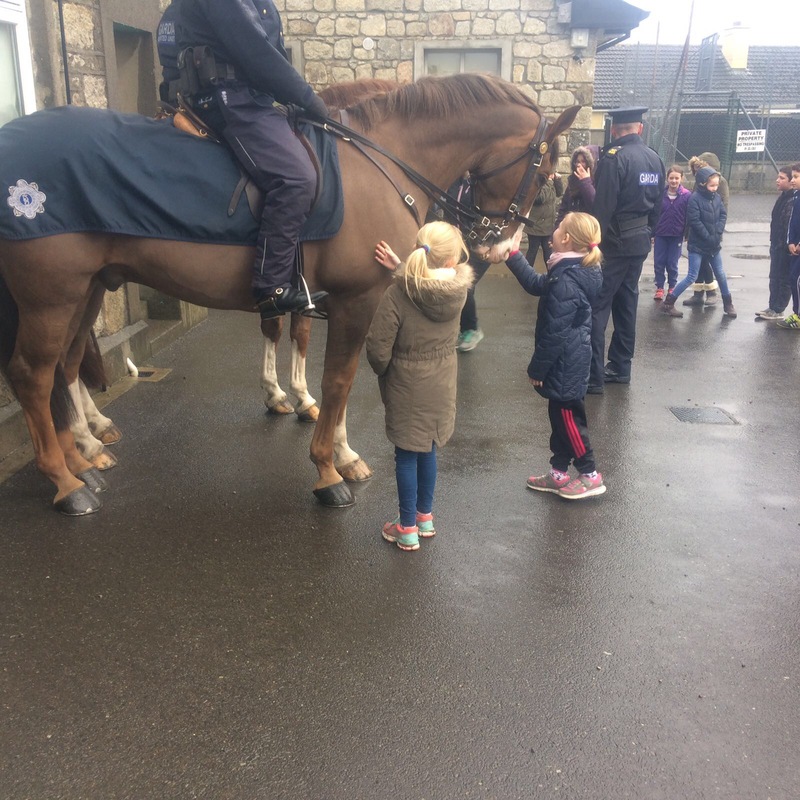 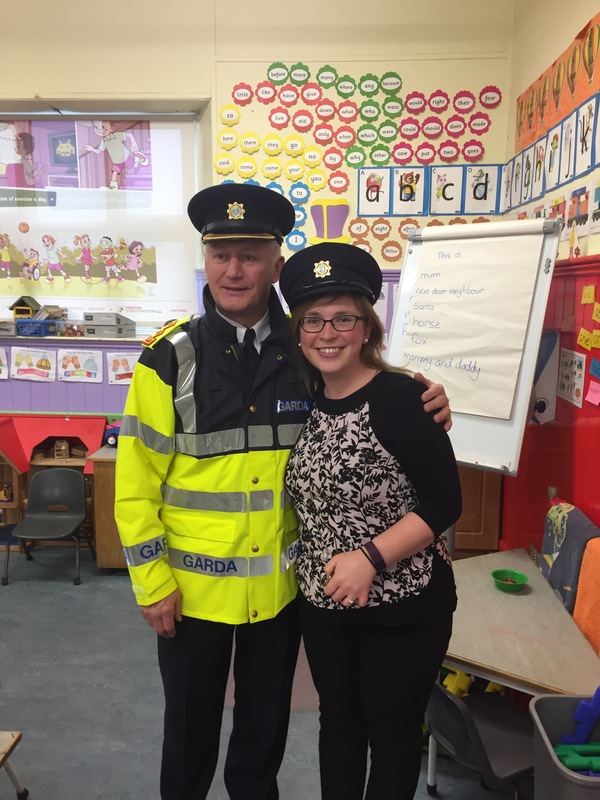 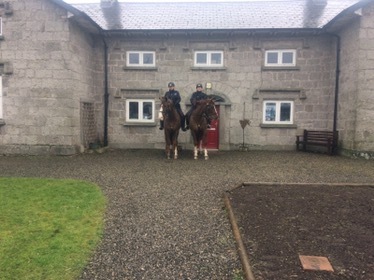 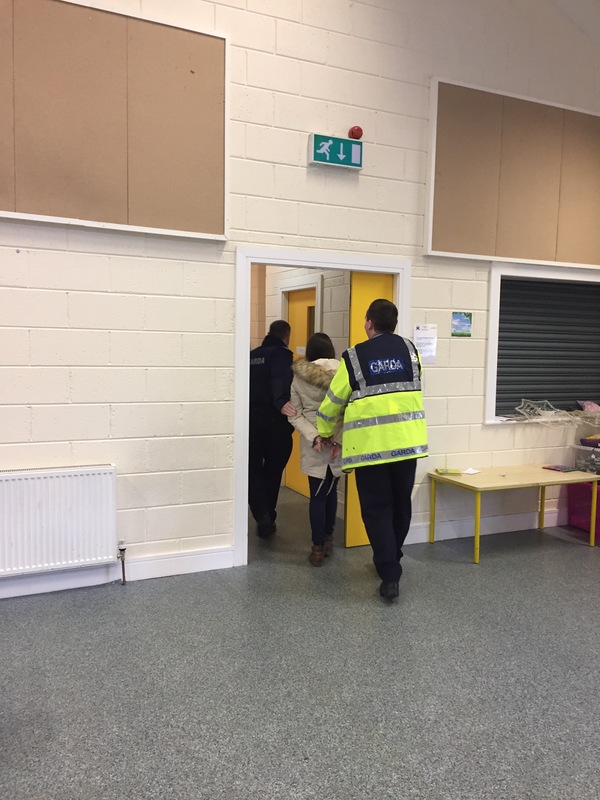 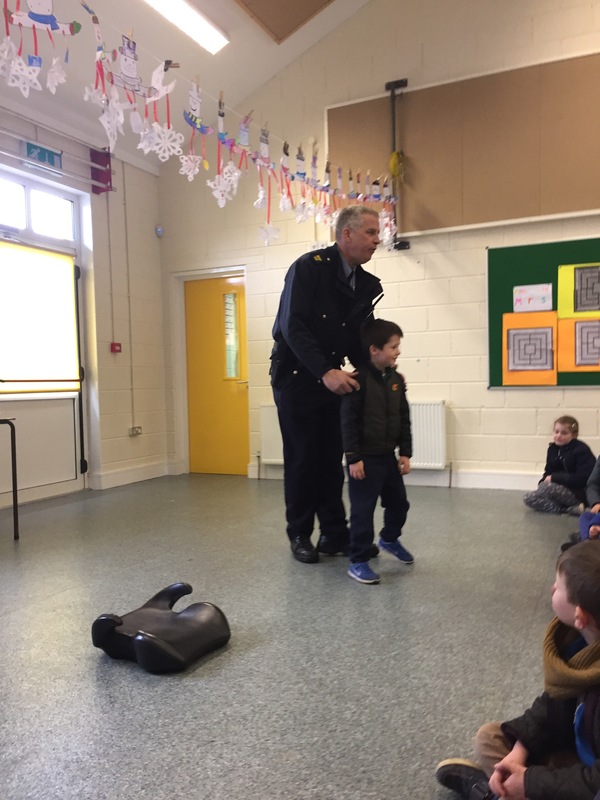 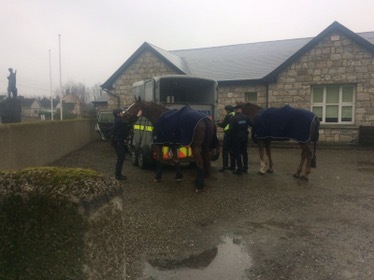 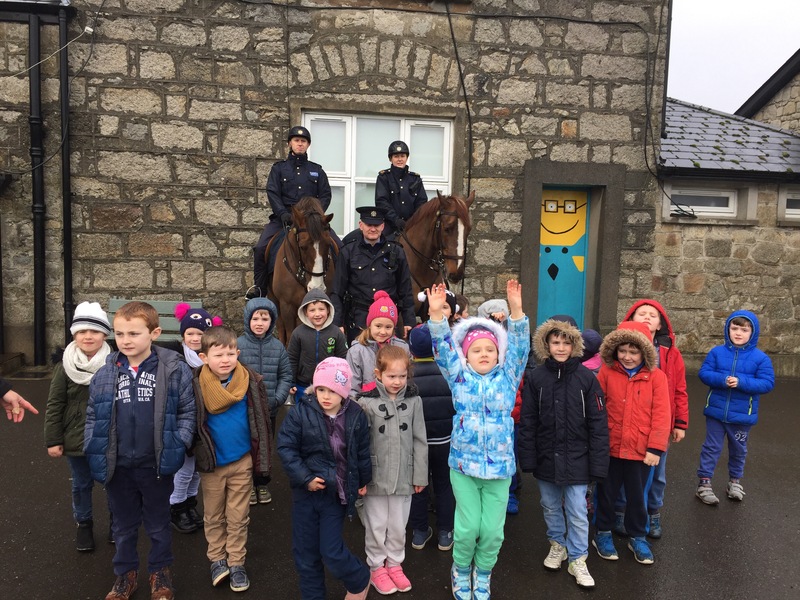 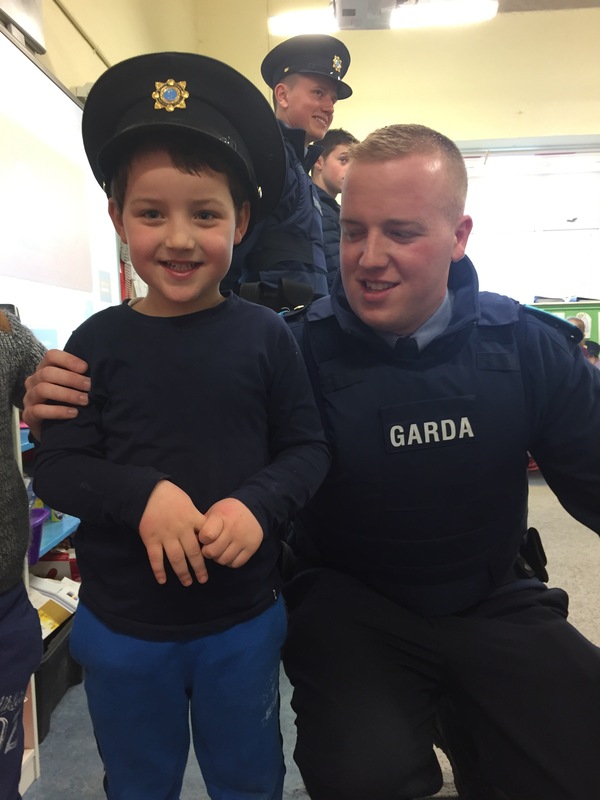 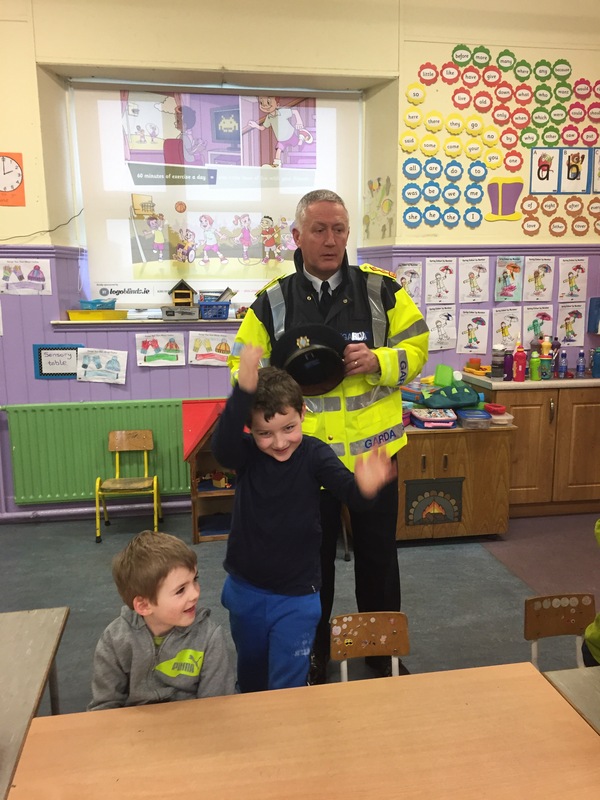 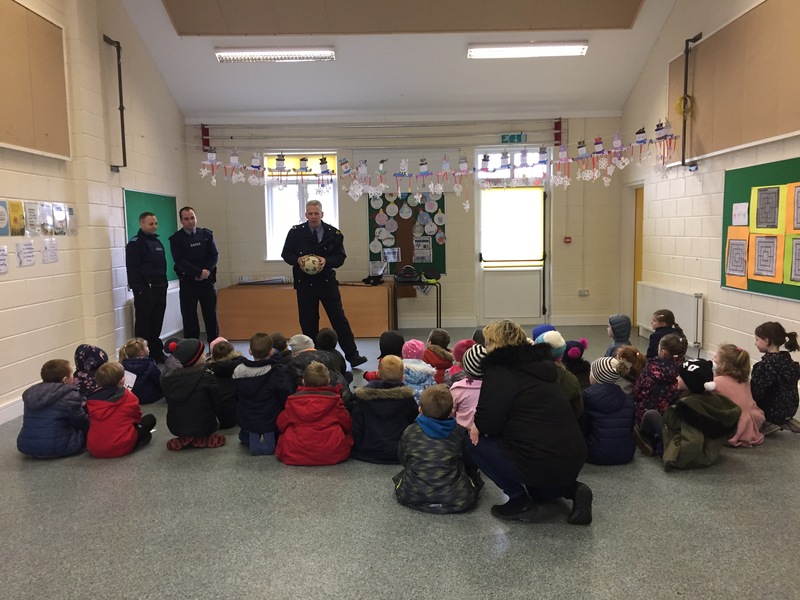 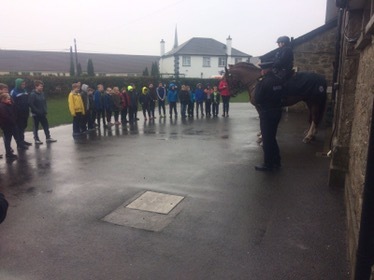 Junior and Senior Infants had a special visit from An Garda Síochana today. 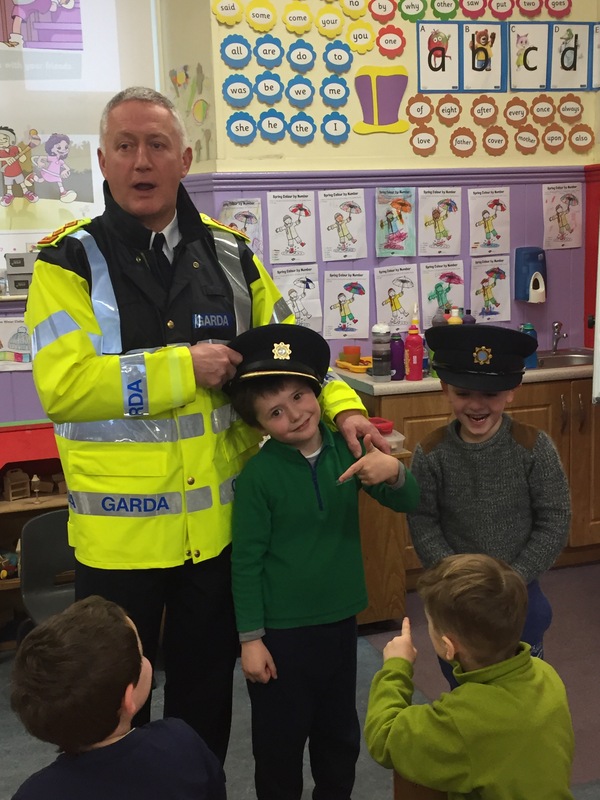 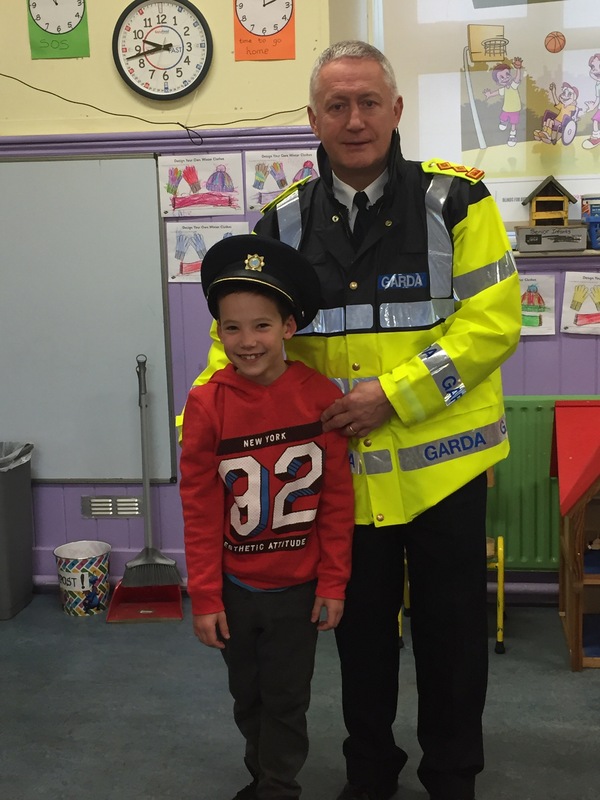 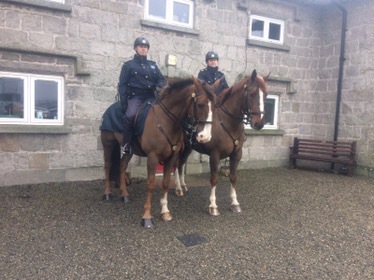 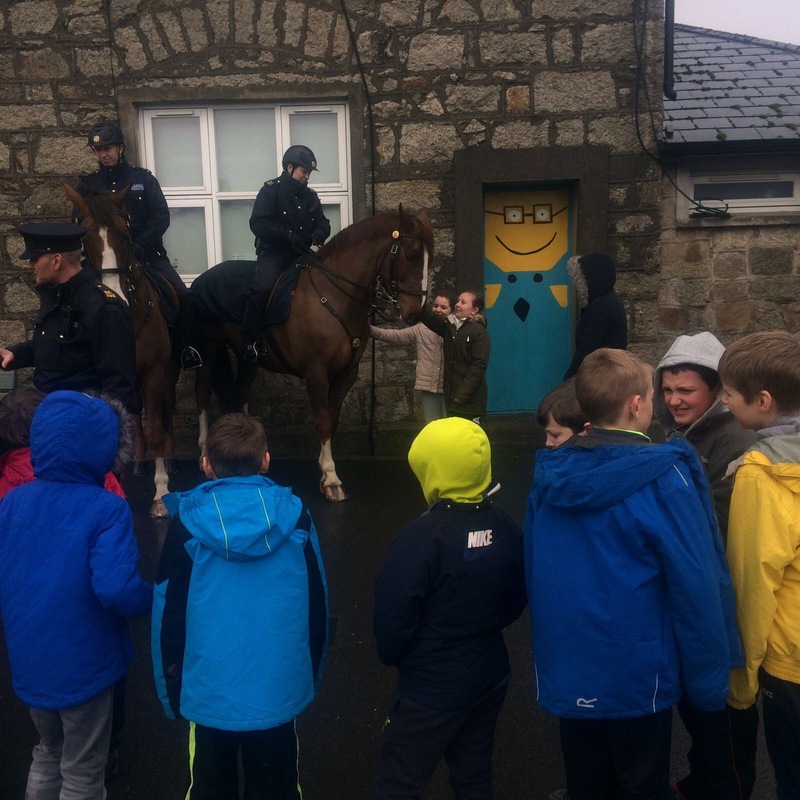 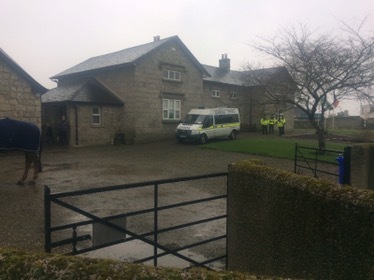 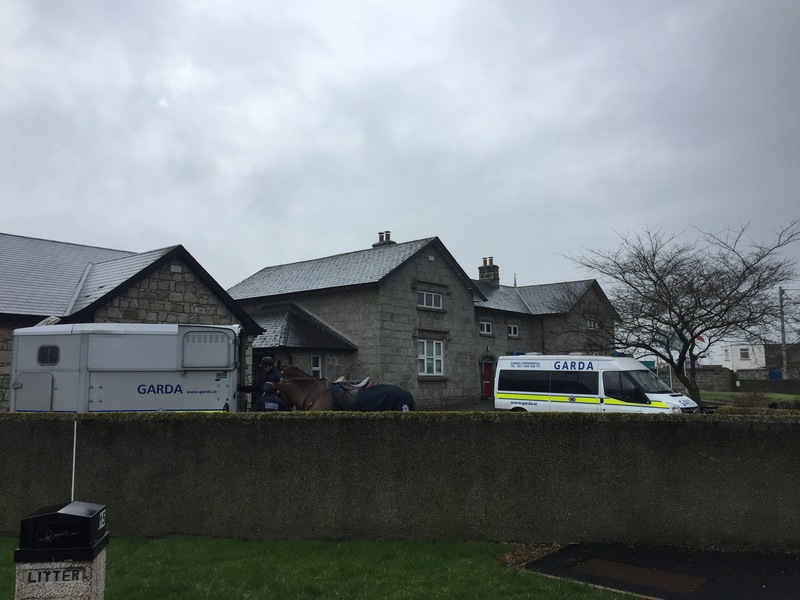 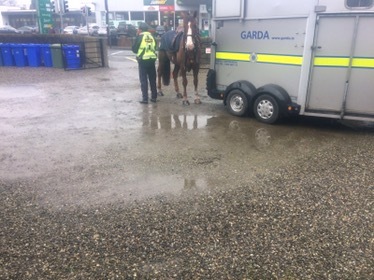 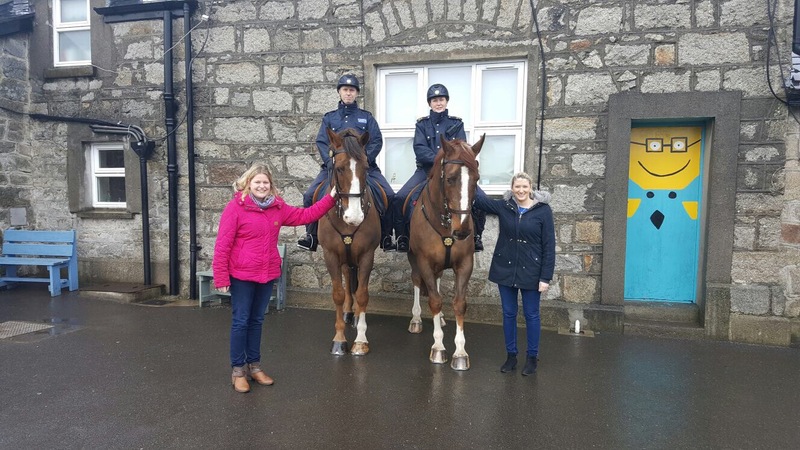 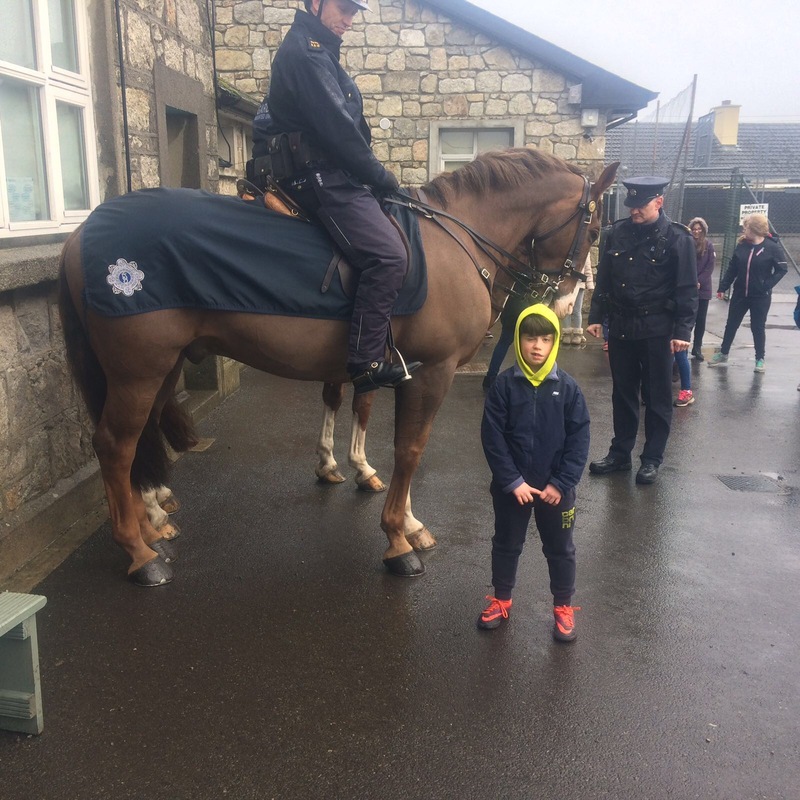 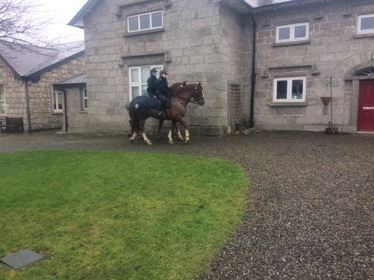 Lots of us would like to be Gardaí when we grow up. 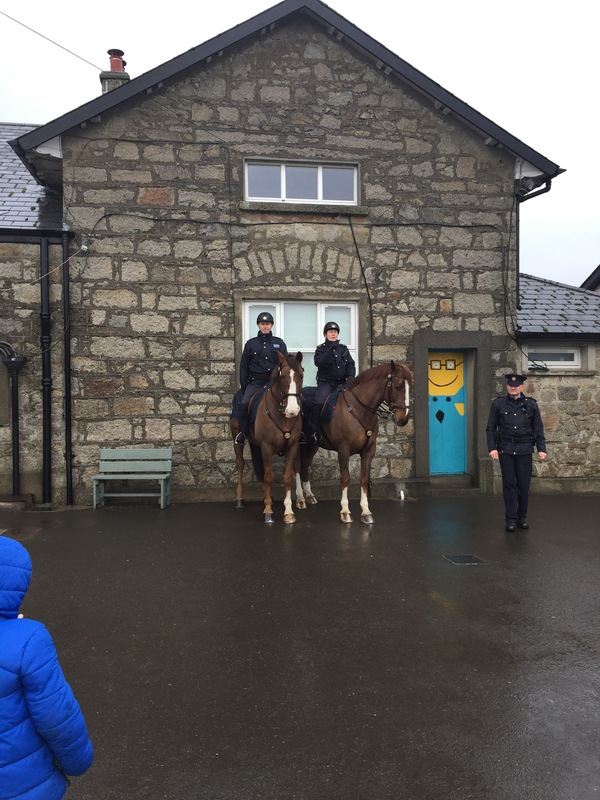 We drew beautiful pictures of our favourite part of the visit. 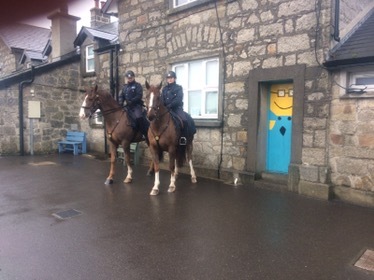 You can see them here . 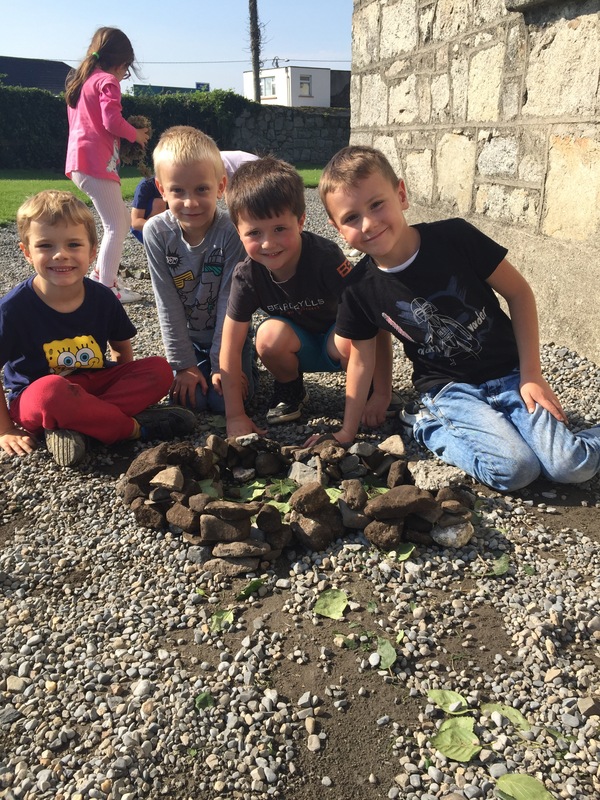 Our Infants made a big house today. 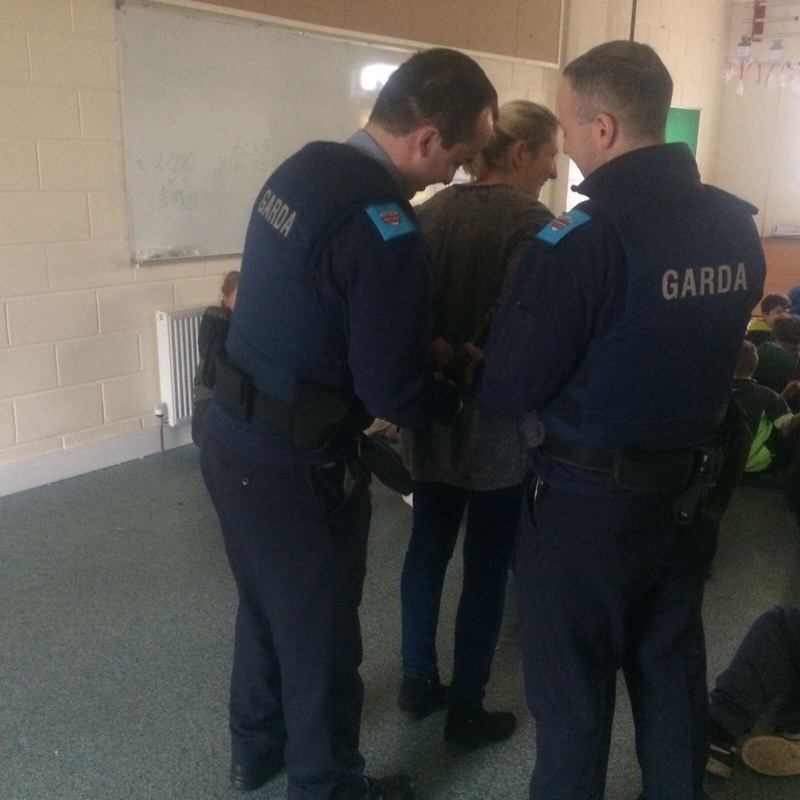 They were able to fit two children inside! 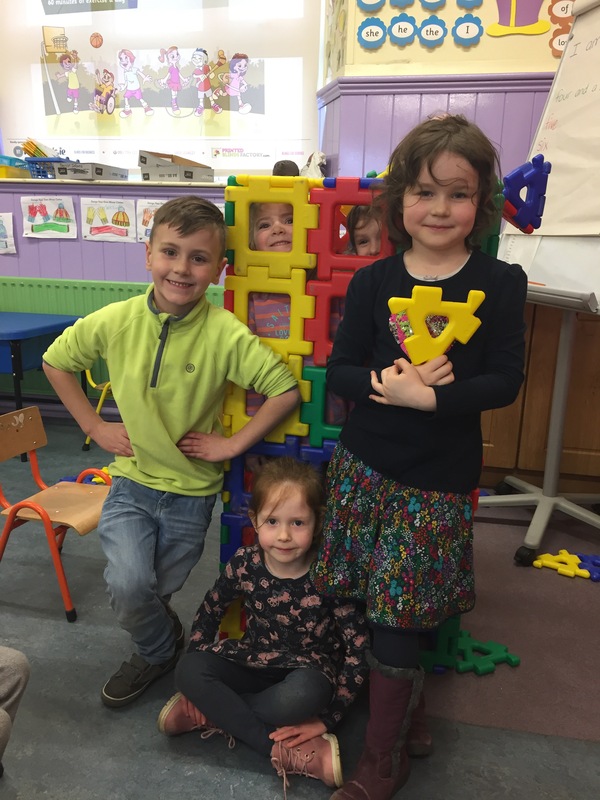 They are looking forward to finishing the roof on Monday! 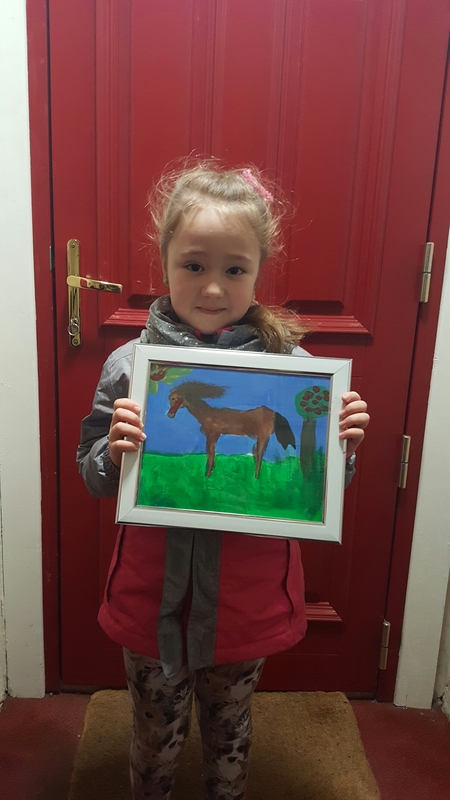 Well done to one of our Senior Infants who created this beautiful horse painting. 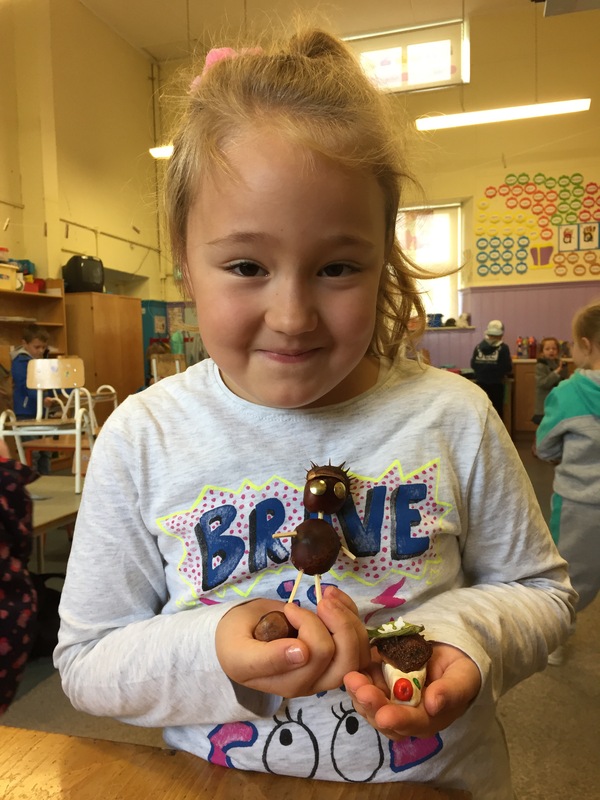 Today, a chestnut man and a chestnut mouse visited our school. 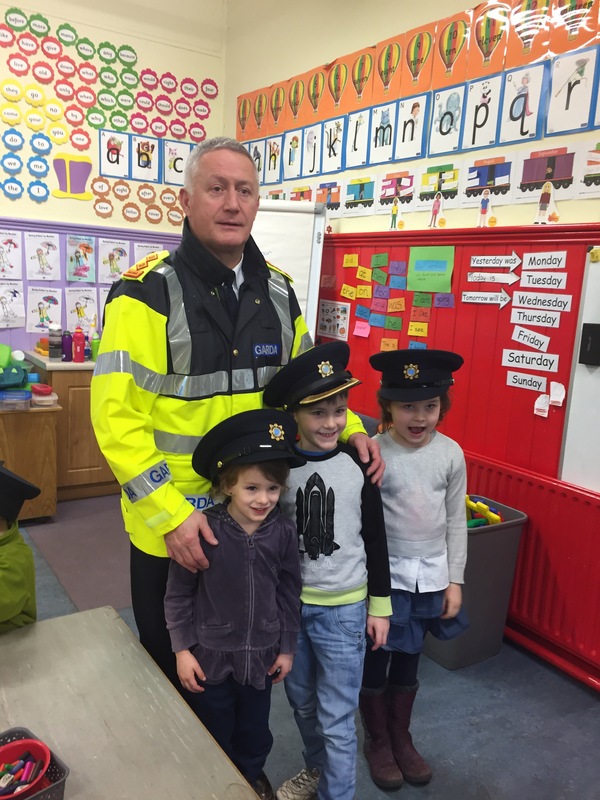 Thank you to the Senior Infant who made them! 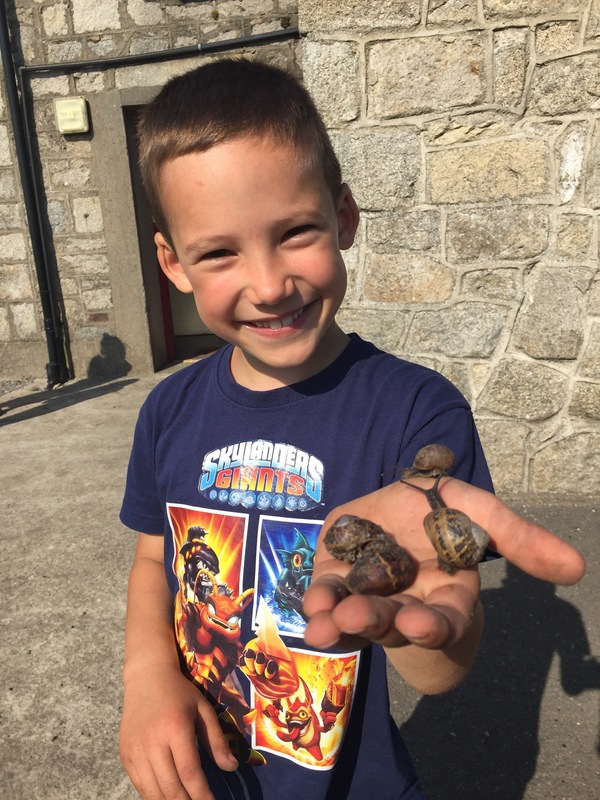 It’s snail season at St. Columba’s N.S.! 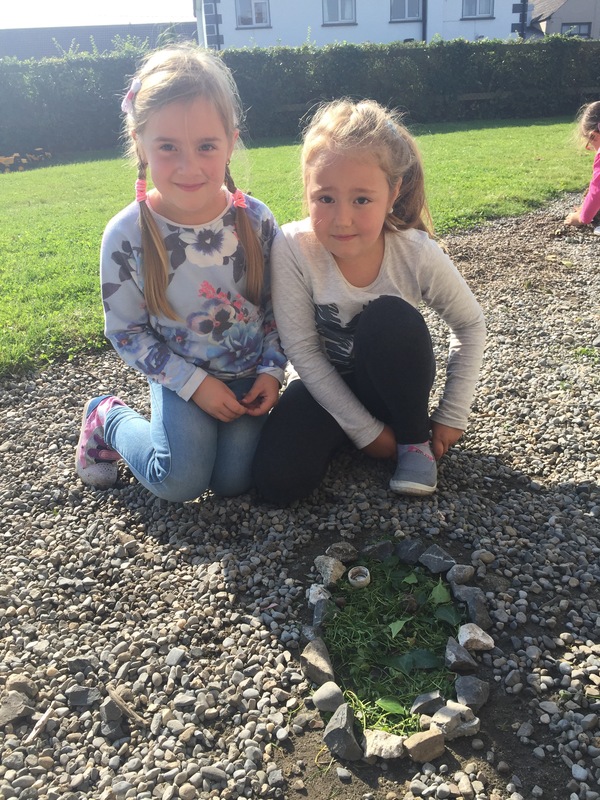 Our children are very busy collecting snails and building snail houses for them.